Take That have been crowned the greatest boy band of all time, beating The Beatles into second place and The Jackson 5 into third. The vote was conducted by OnePoll, which asked 5000 bods for their favourite man troop. It's no great surprise to see Take That top the list because, in theory, they've had two careers - one in the '90s, and one now. 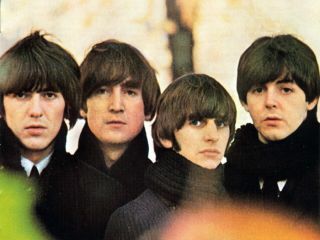 The Beatles, however, are cited by many as the original boy band. Perhaps this silver medal will be enough to spur Paul McCartney and Ringo Starr into a reformation? If John Lennon's controversial "we're more popular than Jesus" statement is true, all hail the new messiahs of pop: Gary, Mark, Jason and Howard.